Fifteen percent of the hundreds of thousands of homes damaged by the storm are still unlivable. And of the 1,651 people from 24 counties who answered the survey, 30 percent of those impacted by the storm said their lives are still "somewhat" or "very" disrupted by the devastating storm's lingering damage. Those survey results, released by The Kaiser Family Foundation and the Episcopal Health Foundation on Thursday, may be the clearest picture of how many people are still struggling to put their lives back together after Harvey. Federal and state officials aren't keeping track of how many people remain displaced. The Federal Emergency Management Agency, which provides aid in the immediate aftermath of disasters, said it doesn’t tally how many Texans are still without permanent homes “in a meaningful way.” FEMA spokesman Kurt Pickering deferred The Texas Tribune’s questions to the Texas General Land Office, the state entity that federal officials and Republican Gov. Greg Abbott tabbed to oversee both short- and long-term housing recovery programs after Harvey slammed ashore last year. 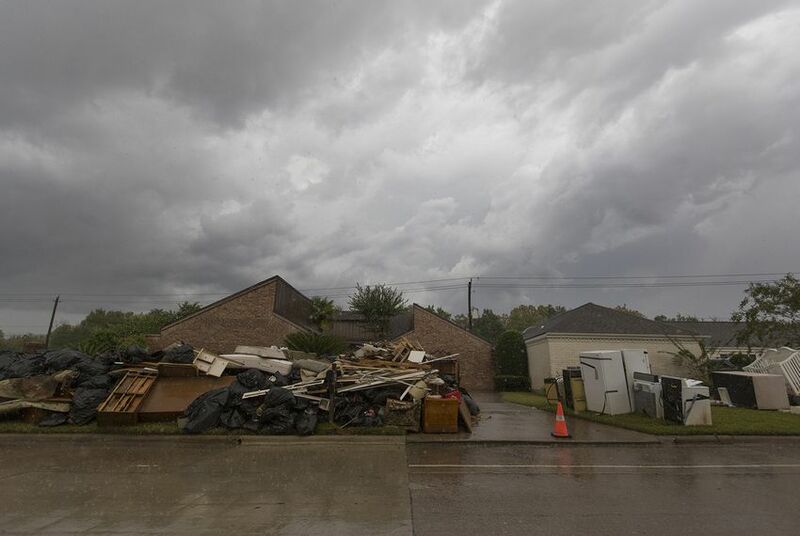 Correction: An earlier version of this story and one portion of the survey from two nonprofits incorrectly stated the number of Texans who said they have not returned home after Harvey. Eight percent of survey respondents said they have not returned to where they lived before the storm. Disclosure: The Kaiser Family Foundation, the General Land Office and Elena Marks have been financial supporters of The Texas Tribune, a nonprofit, nonpartisan news organization that is funded in part by donations from members, foundations and corporate sponsors. Financial supporters play no role in the Tribune's journalism. Find a complete list of them here.